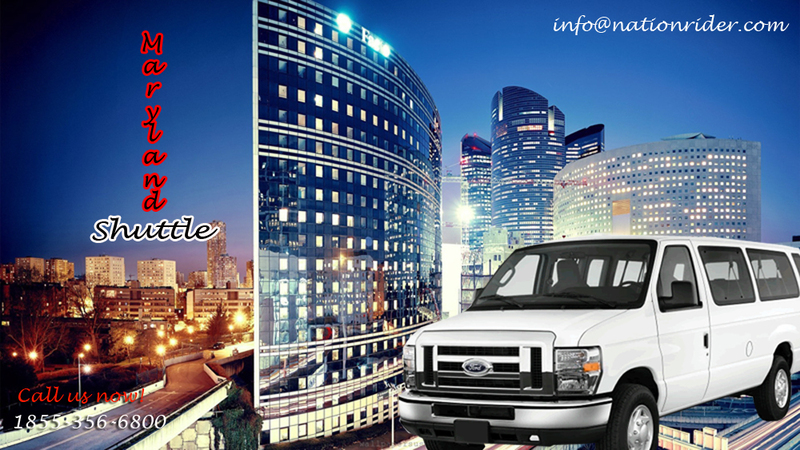 Nation Rider offer door-to-door shuttle and sedan service in Maryland, Washington DC and Virginia. Our customers can hire our services for airport and railway station transfer, business travelling, family picnics, romantic night outs, prom nights and hotel pick and drop. Nation Rider is always there to take care of your complete travel requirements. We also offer 10% discount on all online reservations. Our shared ride service and private vans offer affordable travelling option to commuters in Maryland, Virginia and DC. We also provide sedans for shared commuting for up to 3 passengers. Most of our new customers are recommendations from our old customers and we are one of the most popular Maryland Shuttle service. Beyond shuttle and sedan service, we also provide luxury limo service to our customers. You can hire our services for almost any travel requirement. From point-to-point sedan service rides charter buses for family get together, we have solution for your every requirement. We also offer special discount to federal employees and veterans. Our 24/7/365 call center provide up-to-date information and reservation facility to our customers. We also offer special discounted fares for special requirements and occasions. Call us at 1855-356-6800 or visit us at http://www.nationrider.com for more details.